Several weeks ago I took a knife skills class at the Chopping Block with my friend Nicole. I have been wanting to take this class for a long time and, since I have been trying to learn the proper techniques by myself (mostly via the internet - this is actually a decent video on the subject), I have been curious to see what I would learn in the class. As it turns out, I learned quite a bit. I was gratified to discover that I have been holding my knife correctly, and my basic handling of the foods that were to be cut were decent enough, although I did learn a thing or two there. What I had not been doing properly, or maybe I should say to maximum effect, was the slicing itself. Every time you make a cut you must follow through with the knife on the board, positioning it for the next cut on the way back. That turned out to be worth the price of the class in itself. My chopping speed and precision have both improved amazingly since I took that class. I arrived early, as is my wont these days, so I had plenty of time to look around the shop. They have all kinds of lovely kitchen tools, dishes, pots, knives and utensils, all top quality (and the price shows it). They also have a good selection of gourmet (for lack of a better term) food products, which seemed inordinately expensive to me. There were a few items they carried that I had seen for a considerably lower price at Treasure Island, and I do not consider Treasure Island to be expensive. So I just wandered around, looking, with no intent to purchase. And then I saw the one thing I have been unable to find anywhere else that I have looked. 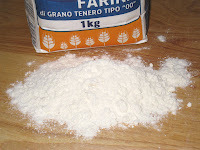 Ever since I started making my own pasta, I have been reading about "00" flour, from Italy, which is a finer grind than the all-purpose flour we have here in the States. Several chefs swear by it for pasta and for pizza, so of course I was curious. But I was having trouble finding it. So I was pleasantly surprised to find it on the Chopping Block shelves. As with their other products it was quite expensive, but I decided it was worth the price to see how it compared to my regular flour. 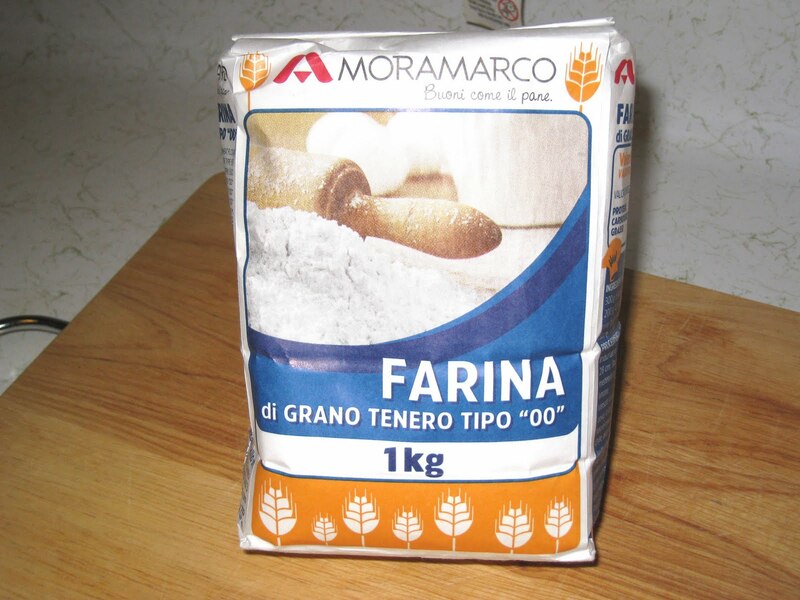 It may be difficult to see in this picture, but this flour does, indeed, have a finer grain than all-purpose flour. It also seems to be a brighter white. That might be due to it being milled from a different kind of wheat than we use here in the States. But it is an almost blinding white, compared to the off-white hue of the King Arthur all-purpose flour I usually buy. I decided to start with a half-batch, using my usual by-hand process. The flour seemed a little more stiff than the all-purpose, but other than that it behaved pretty much the same. 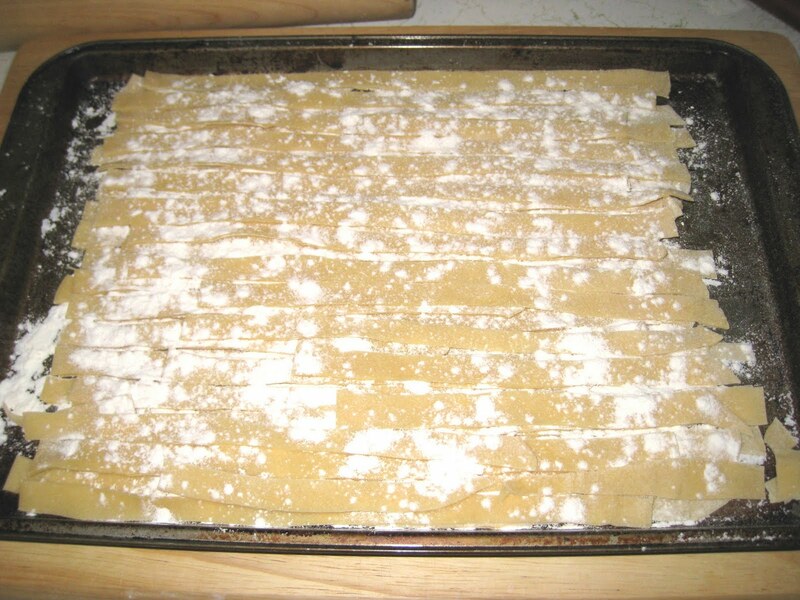 I was maybe a touch more elastic, and I wasn't sure at first that I would be able to roll the dough out as thin as I usually can roll the all-purpose. But in the end, the noodles looked the same. Now the test was in the cooking. I decided to make a cream sauce with radicchio, which needed to be used sooner rather than later. The flavors seemed subtle enough for the texture and flavor of the pasta to come through so I could compare it to my regular pasta. And I have to say, there was a difference. 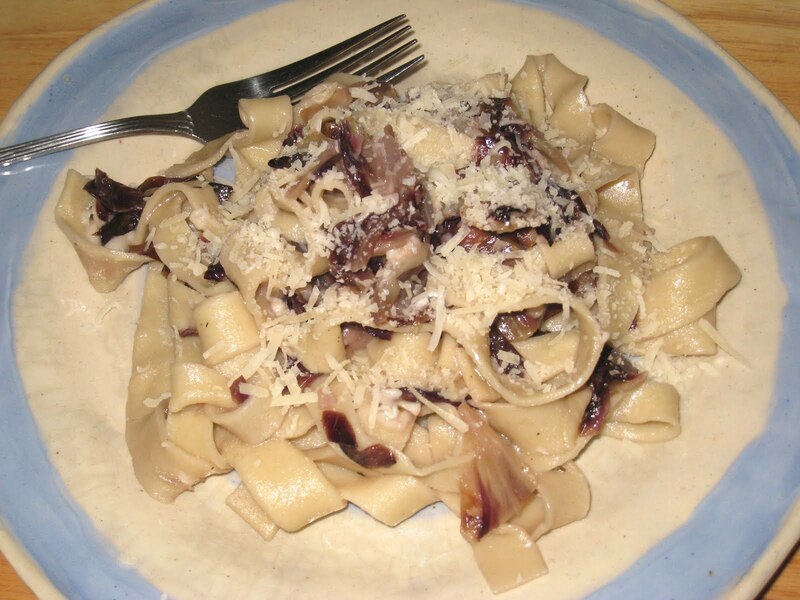 The 00 flour made for a denser, more chewy noodle. As for taste, there was a subtle difference that is difficult to describe - maybe a little more wheat-y, if that is a word. The final result? There is a discernible difference between the two pastas. 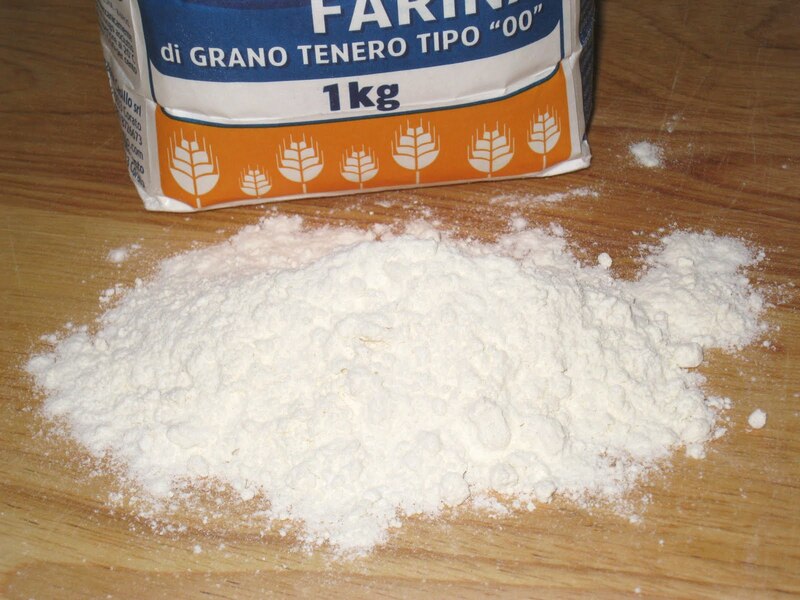 Whether it is a strong enough difference to justify the extra cost of the 00 flour remains to be seen. 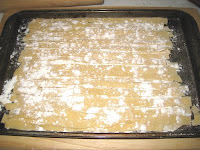 For now, I think it might be nice for special occasions, but the all-purpose flour is good enough for all-purpose use.